This coconut curry chicken dish caught my attention because the sauce is made of both tomato and coconut. I am a big fan tomato based sauces so I knew that this dish would taste great. After I made the dish and tasted the sweet and spicy tomato coconut curry chicken dish, I was not disappointed. This dish is very easy to prepare. Chicken breasts are cut into chunks in this recipe. The chunks of chicken are first cooked in a mix of curry powder, oil, garlic and onions. Then they are simmered along with the coconut milk and tomatoes. The result is a delicious coconut-tomato curry dish that is sure to please. Enjoy! A simple coconut and tomato based curry that is not too spicy. Served this creamy and delicious dish with steamed white rice. Season the chicken chunks with salt and pepper. Mix curry powder and oil. Heat a large skillet over medium-high heat and add the curry oil mixture. Heat curry oil for 1 minute. Add garlic and onions and cook for 1 minute. Add chicken chunks and toss lightly to coat with the curry oil mixture. Reduce heat to medium, and cook for 7 to 10 minutes, or until chicken is no longer pink in center and juices run clear. Pour coconut milk, diced tomatoes, tomato sauce, and sugar into the pan, and stir to combine. Cover and simmer, stirring occasionally, approximately 30 to 40 minutes. Serve immediately, over rice. Enjoy! If you find that there is too much sauce for your taste, you can simmer for longer to reduce the sauce to the desired amount. I used Thai Kitchen coconut milk . The coconut milk was quite thick out of the can. I’m not a good cook and have epic fails. This was an absolute hit and my lot hoed into it. Had my doubts as I was cooking that it would turn out like the picture but it did. I added some dried chilli to add some more heat. Can’t wait to try some more of your recipes. A big thank you Liza. This has become my goto curry recipe. I add a little heat and various vegetables. It’s different each time and always delicious! This has become a family favorite!! Absolutely love it-thank you! Very, very good. Used Jamaican curry powder & 1tsp corn starch during the last 5-10min to thicken sauce. Added cayenne powder & red pepper flakes for a kick. Also added a little more curry & oil during the beginning while cooking chicken- depending on size of breasts used, more was needed for the amount of chunks I had. Absolutely outstanding dish. I had my friends over yesterday and they loved the recipe! I served it with a cardamom rice and some zucchini fritters. Delicious! Thanks! Love this recipe – would like to make in large quantity in advance – does it freeze well? I have not tried freezing this dish so I don’t know what the outcome would be. Try simmering it a bit longer until the right consistency is reached or one suggested to add a tsp of cornstarch at the end to thicken the sauce. Hope these help! This was amazing!!. It was a little soupy, but I used lite coconut milk & i didn’t drain my tomatoes. But simmering it a while cooks down the liquids. It was so easy to make, but amazing flavor!! My new go-to Indian recipe! I’ve never made curry at home, and today I tried this recipe since the photo looked so good. I’m in love with the taste of this curry !! Beyond good and my husband asked for a second round. Thanks so much for making me look so good in the kitchen with this recipe ! I added yoghurt with cucumber and parsley, if you want to try 😊😊 but the curry is the star. I wanted to let everyone know that I make this regularly for my 2 year old and she loves it! I use lite coconut milk, add 1 tbsp of garam masala in addition to the curry powder, and use 1 tbsp of coconut sugar instead of the regular sugar the recipe calls for. I do have to add a tsp of cornstarch at the end to thicken it, but I serve with brown rice and peas. How did you get your sauce to thicken? Did you add a thickening agent. I following the recipe exact except I actually used more chicken. The flavors are great but very soupy. I did not use a thickening agent. I think the difference might be in the coconut milk. I used Thai Kitchen coconut milk here in Canada and it was already quite thick out of the can. Other than that, simmering the sauce for longer may also produce thicker sauce. I hope that helps. but that didn’t stop me from gobbling it down! I just tried the recipe today & I loved it. The sauce wasnt as thick as yours, but delicious and easy to make. I follow this recipe on a regular basis for a very delicious family meal .. it is a real treat …if you don’t want it too sweet half the amount of sugar you put in , served with basmati rice or egg fried rice is perfect. Thanks for a great recipe. You’re welcome Samantha! Take care and happy new year! Mine is cooking on the stove right now. It does not have the same gorgeous colour yours does. Mine looks like dirty dish water! I’m sure it will taste fine, but is there something i can add to make it look more appealing? More tomatoe sauce perhaps? When you say tomatoe sauce, do you mean tomatoe paste? I’m in Australia and here tomatoe sauce is what Americans call ketchup. Tomato sauce is different from ketchup and tomato paste.Ketchup and tomato paste have thicker consistency than tomato sauce. Tomato sauce may consists of spices therefore making it more flavorful. Yes, I think this recipe is also good with fish. Mine became too sweet :(. I added lemon apple cider and heavy cream but still . Any recommendations? I recommend to either eliminate the sugar or put less sugar. Hope this helps! This recipe was great! Super simple and easy to throw together. I tasted it and felt that it was missing something, so I added about a 1/2 teaspoon of garam masala and it added that last bit of depth the flavour needed! I definitely recommend trying it out. Coconut cream has a thicker consistency than coconut milk so I don’t know what the outcome would be if coconut cream is used in this recipe. What curry brand do you use? I used the ‘club house’ curry powder. Hi Liza, I made this last night and I had another portion tonight. I’ve frozen the rest, hope that’s OK, not sure with it having the coconut in. 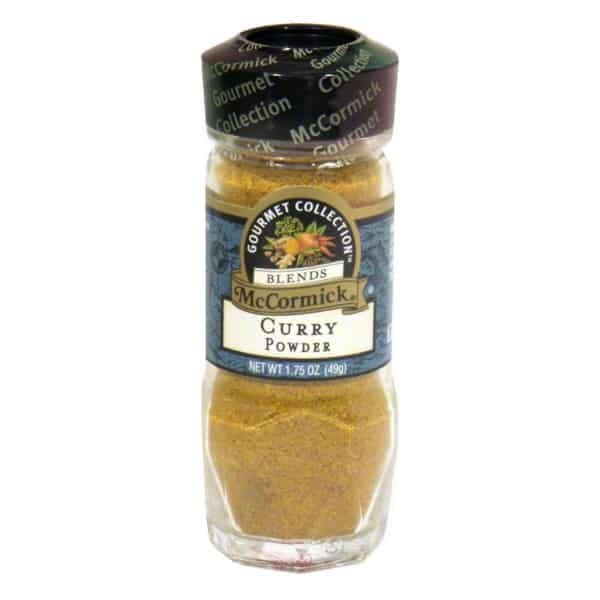 I make quite a few Indian curry’s but I need to make base sauce which takes some time. So I was fresh out of base sauce and fancied a curry and I have to say this was spot on, really hit the target and I’ll be cooking that again without a doubt. I threw tinned potatoes into it as well and had it with a couple of gluten free pitta breads. My ex girlfriend was from a place called Bagio (unsure of spelling) and she used to make me Chicken and Pork Adobo which had quite a bit of sauce with it (well her offering did) and I loved it but can’t replicate it. Thanks for sharing the recipe, I’m having another dollop tonight although the portions are getting smaller, I think the current incumbent of my kitchen is skimming some off. Very nice 🙂 Thank you, I’m trying this out tonight will let you know!! Greek salad is my favorite and definitely sliced fruits for dessert!